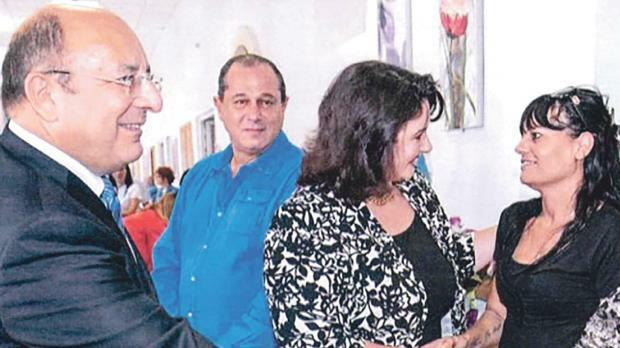 Denis Xuereb of X-Clean accompanying then Family Minister Michael Farrugia and Minister Helena Dalli on a tour of St Vincent De Paul (file photo). The Department of Contracts and the Finance Ministry have been ordered to reverse a ‘clarification’ issued at the 11th hour regarding the submission for offers for a €17 million cleaning tender at St Vincent De Paul and expressed “serious concern” over what had happened. In a formal decision, the Public Contracts Review Board – the tribunal which acts as an appeals board on public procurement issues – upheld a complaint made by Servizi Malta – a cleaning company – and ruled that the intervention by the government department on the last day of the submission of tenders was “concerning”. “This board is somewhat concerned in that the clarification (by the Contracts Department) to reverse the conditions of submissions of offers was issued on the very last day of submission of offers, when all potential bidders were supposed to be in a possession of such (taxation clearance) certificates ready for submission,” the tribunal decided. In view of this decision, the Department of Contracts withdrew its ‘clarification’ and extended the period for the submission of tenders until the end of this month. Last week, the Times of Malta reported that during the submission for offers for a lucrative cleaning services tender at St Vincent De Paul, the Department of Contracts issued a ‘clarification’ to change the rules of the game. Through this clarification the department said potential bidders did not need to present compliance certificates showing that they were in line with the payment of taxes – income tax, VAT and social security – on the day of submission as requested in the tender. Instead, it said that the compliance certificates were only necessary in the case of the winning bidder upon the signing of a contract at the end of the evaluation process. According to normal rules only tax compliant companies can be awarded government tenders. This unusual decision immediately raised eyebrows among economic operators fearing that this was done in the interests of a particular company. This newspaper has already reported that X-Clean, the incumbent cleaning company at SVDP and which was given €9 million in direct orders by the government facility since 2015, was in the red with all tax authorities and had not paid all its due taxes for years. A rival company, Servizi Malta, immediately cried foul with the Public Contracts Review Board which has now upheld its complaint. Although during the hearing the Department of Contracts tried to justify the issue of its clarification as “a correction to a mistake it made in the tender”, Tribunal chairman Anthony Cassar noted that “once the certificates were originally requested it made one wonder why the requirements were changed”. “Such a condition will serve as a filter to the offers which are capable of delivering the tendered works and are in conformity with fiscal and labour regulations,” the PCRB said. Industry sources said the last minute change was made to make a particular company, which was non-compliant with the requirements eligible, to submit its offer and then ‘arrange’ its position with the tax authorities once it was awarded the multi-million tender. The ‘irregular’ cleaning contract at St Vincent De Paul has been in the news for many months. The Times of Malta had reported that X-Clean, a company owned by Denis Xuereb from Naxxar, was given a direct order by the facility in 2015 without a call for tenders. Despite that the Department of Contracts had to issue a new tender three years ago, it kept postponing its publication, while approving renewals of the same direct order every few months, stating that the drafting of the tender was complicated and was taking long to conclude. In the meantime, X-Clean started charging the facility more than double the original paid for cleaning services prior to 2015, acquiring over €9 million in taxpayer money for its services. It was only last December, following a series of stories in this newspaper, that a new offer for tenders was issued by the Department of Contracts.